More often than not, when we travel, all our health goals and routines tend to go out the window. Holidays tend to turn into indulgence, followed by that dreaded bloat when you return home. So we’ve put together some of our top places to hit up to maintain your healthy habits abroad. When it comes to detoxing, of course our favourite place for this is out sister resort Atmanjai. They offer a whole range of programmes and detox protocols, from detox juices, colon cleanses, nutritional supplements, yoga classes, fitness workouts, spa treatments and tons more. They’re even offering free yoga classes for anyone in the Phuket community, for the whole month of February. So if you’re feeling like you’re in need of some ‘me’ time to get your health back on track, this is your place. 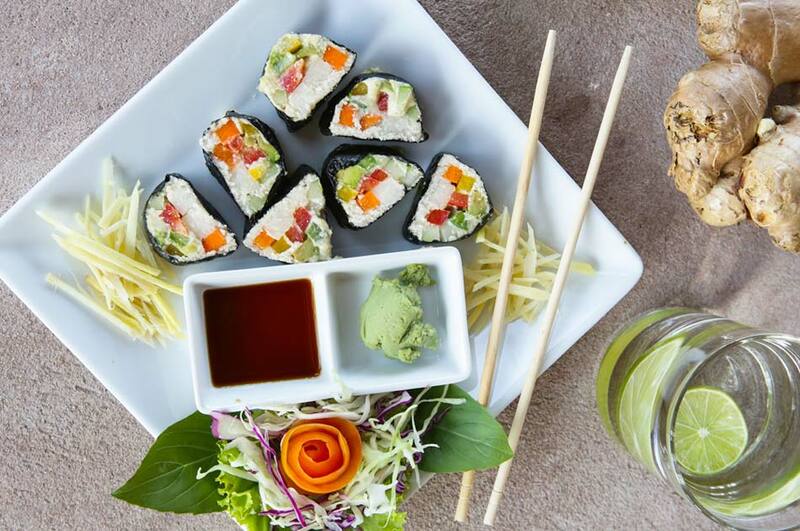 Phuket isn’t short of healthy food options on the island. You will be spoilt for choice. Rawai and Naiharn have become the ‘healthy cafe hub’ here in Phuket, with places like Wilson’s Cafe, Coffee Tribe and Gallery Cafe. Not to mention our very own beachfront SuperNatural restaurant which serves up the best raw vegan food you’ll ever taste… our raw Pad Thai and Vegan Lasagne are just some of the favourites. SuperNatural also serves the award winning smoothie bowls, NanaBowls. These are protein smoothie bowls that are gluten/dairy free, with no added sugar, vegan friendly and 100% natural. They’re suitable for anyone and everyone, so if you’re travelling with kids, friends or family, they’re guaranteed to enjoy them. If you’re a real fitness fanatic, then you’ll definitely have to check out the infamous Soi Taied in Chalong, also known as ‘The Soi’. This street is jam packed with gyms, crossfit, Muay Thai camps, healthy eateries and accomodation. It’s every fitster’s dream! The fitness levels on that street are world class, but don’t feel intimidated, all the trainers are the best of the best, and are there to take your fitness to the next level. So if you’re a keen traveller and also passionate about health and fitness, Phuket is the perfect place for you!